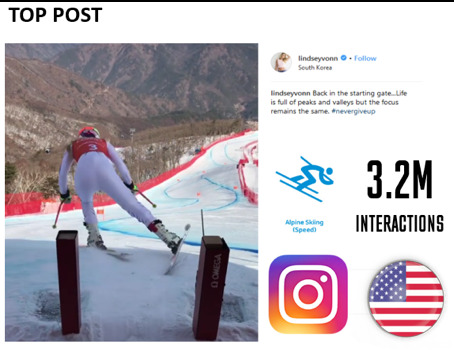 Social media is a crucial communication channel for partners, federations, athletes, committees and anyone involved in a major sports event like the Winter Olympics. Sportcal Media has teamed up with Hookit to delve into the metrics behind the 2018 Winter Games social media activity. We examine the platforms as well as stakeholder accounts, grouped into Organisations (including IFs, IOC & NOCs) Partners & Athletes, to discover who has come out on top of numerous rankings from most posts & most interactions to most account followers & most follower growth over the Games period (9th – 25th February 2018). We also interrogate daily activity across the various platforms to better understand whether event schedules and successes correlate with activity and interactions. Which stakeholder drew the most interactions from a single post across the 2018 Games? 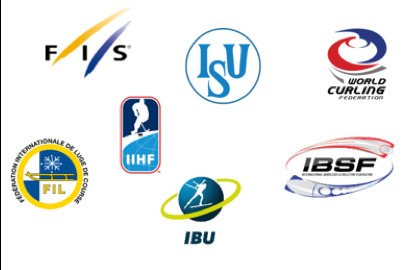 Which International Federation was most active during PyeongChang 2018? How many followers were gained during the Games by TOP partner and local partner accounts? Which sports & athletes were most active, and which were most engaging? Who topped the National Olympic Committee interactions podium? Which platform enjoyed the most activity and which saw the most follower growth? Exactly half of all posts (among athletes, organisations and partners) during the Winter Olympics were made on Twitter, however, the platform generated only 7% of all interactions. It was Instagram that proved by some way to be the top platform for engagement, generating 53% of all interactions from just 24% of the total posts. Snowboarding, the sport of social media star Shaun White, generated the highest engagement levels during the Winter Games. The sport topped the podium on 9 of the 17 competition days. US skier Lindsey Vonn scored the most engaged-with post of all athletes during the Games. The 3.2 million interactions were slightly more than snowboarder Shaun White’s Instagram video (3.1 million), however, both were some way ahead of the next most engaged-with post, again another White Instagram video (1.7 million). Ten posts generated more than 1 million interactions; four were from White.